Several environmental issues are increasingly taking the form of a survival or an existential crisis. It is not just nuclear weapons, but other weapons of mass destruction and the fast-emerging military use of robots/artificial intelligence that pose a threat. The main focus of this book is on these survival threats planet Earth is facing. It emphasises the need for timely solutions before civilisation spins into a crisis from which it cannot recover. The book discusses how these survival issues need to be resolved within a framework of democracy, peace and justice in a fair and equitable manner for all - man, animal, plants, water and air, all an interlinked integral part of life on Earth. Big changes in global governance capable of resolving these issues are needed before it is too late. 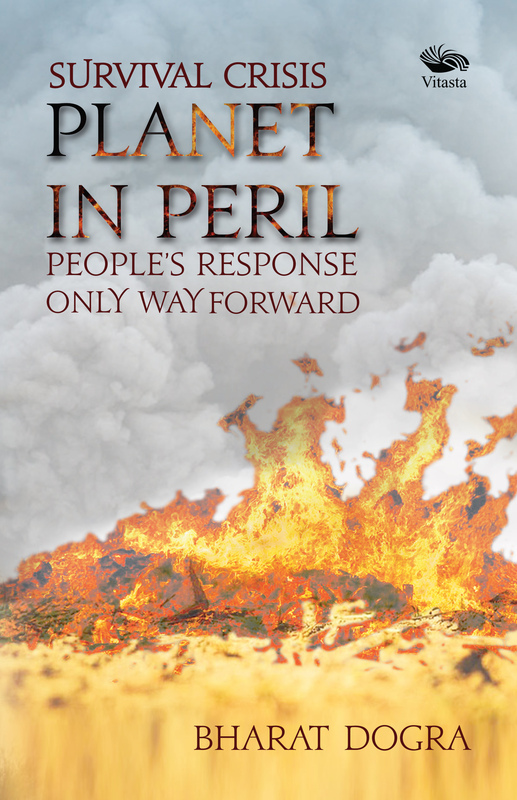 Planet in Peril is a wake-up call for us to set out our priorities and promote people’s movements as the steering wheel for positive change - the only way to save our civilisation. Bharat Dogra’s reports from many remote parts of India on rural distress and struggles have been wake-up calls for policy-makers and general polity to focus more on the marginalised sections of our society. He has written extensively on environment, development and welfare issues for over four decades. His articles and reports on these issues have been published in leading newspapers and journals in India and abroad. He has received several prestigious awards for his writings in English and Hindi. On the basis of his wide-ranging experiences and research Bharat Dogra has increasingly argued in recent years that the environmental crisis is now taking the form of nothing less than a survival crisis and the next few years will be crucial for resolving this catastrophe. This book from the noted journalist and author calls for people’s response as the only way forward to lessen this worldwide crisis.